Toxic metals have been documented to be reproductive and developmental toxins, causing birth defects and damaging foetal development, as well as causing neurological effects, developmental delays, learning disabilities, depression, and behavioural abnormalities in otherwise normal-appearing children. This paper examines the development of a natural, oral heavy metal chelator that has undergone a double-blind, placebo controlled trial with 350 people. Pre- and post-provocation samples of urine and faeces were collected and analysed for a variety of heavy metals using Inductively Coupled Plasma Mass Spectrometry (ICP-MS) as well as Atomic Fluorescence Spectrometry (AFS). Data are examined from a number of trials that were conducted over a three-year period, with further independent mercury trials (N=56) being added recently. Statistical analysis indicated that the preferred elimination route of the heavy metals is through the urinary tract. The natural chelator was effective at eliminating arsenic, antimony, bismuth, cadmium, lead, mercury, nickel and uranium, with mean percentage elimination in the post-urine and faeces samples ranging from 67 per cent to 7,409 per cent. 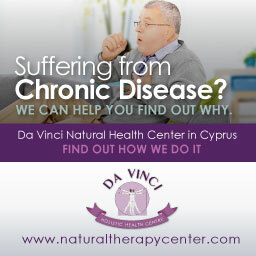 In comparison to other synthetic chelators with known side effects, this natural chelator had literally no side effects and is seen to play an important role in the oral chelation of young children with learning difficulties, ADD, ADHD, autism and other forms of metals toxicity. Its use in such cases in the United States has shown promise even with hypersensitive children. Heavy Metal poisoning is now so common that it is literally impossible to avoid it. Even newborn baby Eskimos have been shown to have heavy metals as soon as they emerge from their mother’s womb, as well as receiving mercury from breastfeeding. A recent report published by Reuters from the U.S.Environmental Working Group showed that blood samples of umbilical blood taken by the American Red Cross from ten babies contained an average of 287 contaminants, including mercury, fire retardants, pesticides and the Teflon chemical PFOA5 – the paper is entitled: Present for Life: Hazardous Chemicals in Umbilical Cord Blood. Other research has shown a positive correlation between mercury levels in a mother’s breast milk and the number of dental amalgams in her mouth – the research is entitled: Does Mercury From Amalgams Get into the Mother’s Breast Milk? 3. The subsequent decrease in methylation of cellular constituents that require methylation to operate properly. Dr Russel Blaylock says: “Mercury is known to directly interfere with DNA repair enzymes as well as reduce function of all antioxidant enzymes, thereby greatly magnifying the degenerative effects of the microglial activation. Mercury is also a powerful inhibitor of GLT-1, the glutamate transport protein, even in very small concentrations. He continues: “In essence, most neurodegenerative and behaviour effects are caused by activation of the brain’s own immune system – the microglia cells.” Most foreign chemicals, but particularly mercury, can trigger this system into a neurotoxic overstimulated state. Many health practitioners use synthetic chelating agents such as DMPS, DMSA, EDTA and others to mobilise and eliminate heavy metals from the body. There are advantages and disadvantages to using these. 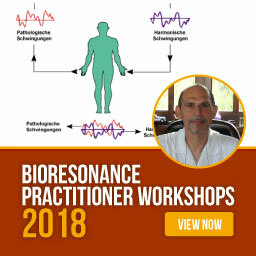 One advantage is the power of their mobilising activity – they are quick to mobilise and eliminate certain metals in the body, but this may place a huge burden on the body’s detoxification systems. 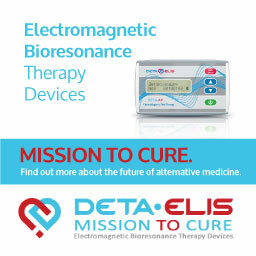 Further symptoms have been reported by natural medical physicians throughout the U.S., such as intractable seizures in paediatric patients and multiple sclerosis in adult patients, due to taking high doses of DMSA over extended periods of time. These are valid reasons to be at least cautious in the use of DMSA for the treatment of mercury toxic paediatric patients. The fragile brains and nervous systems of children with autism, PDD and seizure disorders should be handled with considerable care so as not to increase the damage. DMSA and DMPS can certainly be life-saving drugs in cases of acute metal poisoning. Toxicologists have noted that synthetic chelators should be used only in cases of acute metal poisoning, or as a last resort for intractable chronic poisoning. Natural methods should be exhausted first. HMD™ is proven to successfully eliminate lead, antimony, arsenic, cadmium, mercury, nickel, bismuth, uranium and other toxic metals without eliminating essential minerals and with minimal side effects. The research initially began as a health impact study to determine the levels of heavy metals in 374 metal foundry workers in Russia. These were randomly chosen from a workforce of 2,000 people and screened using tissue hair mineral analysis in a reputable U.S. laboratory specializing in this type of analysis using ICP-MS instruments. High levels of four major heavy metals – antimony, arsenic, cadmium and lead – were identified in the hair samples. The metals were common to the entire workforce as they were by-products of the production process. From the initial screening sample 106 people were selected to take the HMD™ in different dosages, and with various ingredient combinations to determine dose-response relationships and efficacy of the various combinations. Neither the participants, researchers nor the analytical chemists doing the spectrometry analysis knew which treatment protocol each participant belonged to. The coding was stored in the coordinators safe until it was time to interpret the statistical data. All participants signed an informed consent form after discussion of the research protocols. A medical team was on standby 24-hours a day to deal with any potential side-effects. Each participant provided a baseline sample of urine (24-hour collection) and faeces before taking HMD. Both urine and faeces were taken to determine the excretory route used by the various substances tested. These samples were returned to the research team and circumspectly recorded in preparation for ICP-MS analyses using two independent laboratories in Russia and the U.S. See Table 1 for results below. Table 1 HMD™ data over a number of trials over a three-year period. Table 1 shows the summarised results of a number of different trials over a three-year period. The mean percentage increase of heavy metals after provocation with the HMD™ is compared with the elimination with placebo (a highly diluted chlorella tincture). In order to determine whether there was a dose-dependent relationship, dosages of 40 drops in the morning, 50 drops at lunch and 60 drops in the evening were used, all taken in a little water before food for both the control and experimental groups. The post-provocation urine samples were collected after 12 hours and the post-provocation faeces samples after 48 hours due to the slower transit time – “U” denotes the Urine samples and “F” the Faeces samples. The mercury results are from a recent independent trial which is discussed in more detail below. 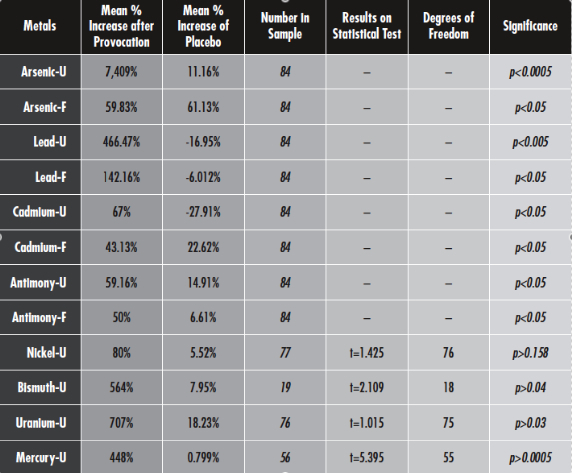 Table 2 shows the mean elimination of metals in urine in the post-provocation sample after the HMD™ was taken for 12 hours. There is a dose-dependent relationship for each of the four specific metals tested. For example, arsenic was eliminated more effectively when taking 40 drops x 3 daily (7,514 per cent increase in the post-urine), compared to higher doses of 50 and 60 drops. Antimony also showed the same dosage of 60 drops x 3 daily was the most effective. The cadmium data were rather surprising as only 50 drops x 3 daily was effective (26.43 per cent); none of the other two dosages was effective. The lead elimination peaked when a dosage of 60 drops x 3 daily was used (466.4 per cent). However, most of the metals were being excreted at different dosages, but certain dosages were more effective than others. Table 3. Mean elimination of metals in faeces in the post-provocation sample compared to placebo (expressed as a % increase or decrease) (N=84). Table 3 shows the elimination of metals in the faeces. For arsenic 60 drops x 3 daily was most effective (298.1 per cent); for antimony 60 drops x 3 daily was most effective (50 per cent); for cadmium 40 drops x 3 daily (45.11 per cent), and for lead 50 drops x 3 daily (142.1 per cent). Comparing Tables 1 and 2 clearly shows that the predominant route of excretion for all metals is via the urine, giving the added advantage of decreasing the possibility of re-absorption through the bowel. There were no serious side effects during the trials. Two people complained of a minor, transitory headache. 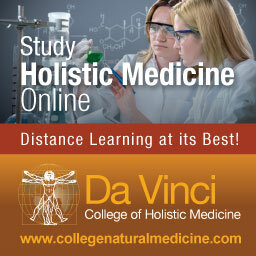 Kidney, heart, liver and electrolyte blood tests showed that there were no pathological parameters in the post urine and faeces samples, compared to baseline, in all people tested, suggesting that HMD™ is a “gentle chelator” that does not place undue stress on the physiological systems of detoxification. Moreover, Heart Rate Variability Testing (HRV), a measure of the functioning of all the physiological systems of the body showed a significant increase in 40 per cent of the people tested in only 48 hours after provocation with the HMD. It is predicted that HRV scores would be greatly improved if the HMD was taken for much longer periods of time. 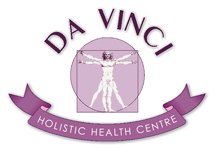 Over the last year a voluntary group of clinical patients from the principal researcher’s Da Vinci Natural Health Center in Cyprus was used to test the efficacy of HMD™ on mercury. All urine analyses were conducted on a mercury-dedicated PSA Atomic Fluorescence Spectrometer measuring at levels of parts per billion. This involved a total of 56 patients who participated in a 24-hour provocation trial using HMD™ at dosages of 40, 50 and 60 drops throughout the day. Initial six-hour baseline pre-urine samples were collected, along with a 24-hour collection for the post-urine sample. There appears to be a 448 per cent increase in eliminated mercury in the post-test after 24 hour provocation with HMD™ in the 56 people tested, compared to the baseline sample. Moreover, there was a negligible increase in mercury in the control group that was given only diluted powdered chlorella in a little alcohol. There was a statistically significant difference between the percentage increase of mercury in the post-sample compared to the controls (t=5.395, df=55, p<.0005). Further research is being conducted on HMD™ to determine its efficacy with autistic children and in the elimination of chemicals such as pesticides and herbicides. The average adult dosage of HMD™ is 45 drops x 3 times daily.